Diabetes is known as Asia’s silent killer. There are now nearly 400 million people worldwide living with diabetes, and according to health care officials – more than half are in Asia. By 2035, Pakistan is predicted to have one of the highest proportions of people suffering from diabetes. To tackle the growing problem, a free insulin bank has been established in Pakistan’s Khyber Pakthunkhwa province. Gabe Matthews visits the largest insulin center in Asia. 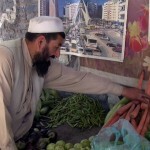 17-year-old Salman Habib sells vegetables in a small hut on a roadside in Peshawar. He’s been diabetic since he was six. At home, his grandmother and cousins have diabetes, too. Daily life can be a struggle, “I need to go to washroom soon and I feel thirsty and my mouth is dry all the time. I feel numb, tired and lazy. My body also hurts all the time.” But today, he left his shop earlier to go to a hospital that provides free insulin. 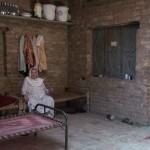 In Pakistan, around 6.7 million people have been diagnosed with diabetes. And according to the International Diabetic Federation, that number is expected to double by 2035. Pakistan’s first insulin bank was established last month in Khyber Pakthunkhwa province at the Hayatabad Medical Complex, funded by the provincial government’s Health Justice program. The bank provides free treatment to all diabetic patients that require insulin to stay alive. Some 15 thousand such patients come to the hospital each year and most of them are from poor families. Muhammad Husain is an endocrinologist, specializing in diabetes. According to the International Diabetes Federation, one in ten of the world’s population will have diabetes by 2035. Many of them in low and middle income countries… and the majority will be under 60 years old. 48-year-old Said Umer Jan Bibi has been in the hospital ward for almost a month now. She cut one of her fingers last year but she still feels the pain. She’s happy that she can now get free insulin to help improve the quality of her life. Shokat Ali Yousafzai is the provincial health minister who initiated the free insulin program. Minister Yousafzai claims it is the first such free health facility in Asia. Salman Habib returns home happy after getting his free insulin at the hospital. His mother Maimona greets him; she worries about him constantly. There are now four centers in Khyber Pakthunkhwa province where indigent patients can get free insulin. But more are in development. A dozen clinics will open by late summer, and a total of 25 free insulin centers are set to be operational by the end of the year.